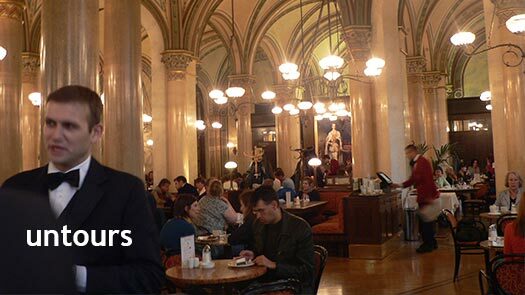 Top 10 Vienna: The Sights and Experiences You Can't Miss! There are few cities in the world that are as regal and majestic as Vienna. Filled with stunning palaces, lovely coffee houses, and splendid churches, the architecture and ambiance is hard to top. This old world city is alive with museums and concert halls, an essential stop for fans of fine art and classical music. And the city’s lovely parks, gardens, and public spaces add to your experience. There is so much to see and do in Vienna. Here’s a list to get you started. 1. Get on a tram and explore the Ring, a big 19th century boulevard surrounding the city center of Vienna and lined with architectural gems, like the Parliament building, Town Hall, and the Vienna State Opera. 2. Spend a day at Schönbrunn Palace, the former summer residence of the Habsburg royal family and one of the most beautiful Baroque palaces in the world. 4. Visit St. Stephens Cathedral, the undisputed heart of the city, and climb to the top for a great view if you feel so inclined. 5. Take a stroll through one of Vienna’s parks and enjoy people watching from the comforts of a relaxing bench. The most central are Volksgarten and Burggarten. 6. Explore Albertina. In a city with museums on every other corner, a museum has to have a collection that is really a show stopper in order to impress the crowds, and Albertina does. 7. Hear the Vienna Boys Choir. Make sure to get tickets ahead of time. 8. Not only classical music lovers will want to secure tickets for the Vienna Opera House, considered one of the best in the world. 9. Marvel at Hundertwasserhaus, a Gaudi-esque apartment complex with a roof covered with earth, grass, and bushes and with large trees on balconies. This may be the architecture of the future. 10. Enjoy local wine at a heuriger, or wine tavern. Many of them are scenically located on the outskirts of town, surrounded by vineyards and overlooking the city.